IMPORTANT - Restrictions on use Strict adherence to use of vehicles rules. No vehicles to be driven to the foot of West Fell (an alternative take off in a north easterly). Walk up from 'miners' car park.No dogs onto the site or fellsides. A small but useful site. It has only a short beat but with 400' / 122m ato it is possible to fly to the NNE faces of West Fell and Carrock Fell. In reasonable NE conditions all three sites are fairly easily inter-flown. PLEASE AVIOD DISTURBING LIVESTOCK, farmers have become upset with our activities leading to sheep being pushed off the Fell sides. Calebreck. This building is immediately adjacent to the parking area. If travelling from the main A66(T) then follow the directions for getting to Carrock Fell via the Mungrisedale minor road. 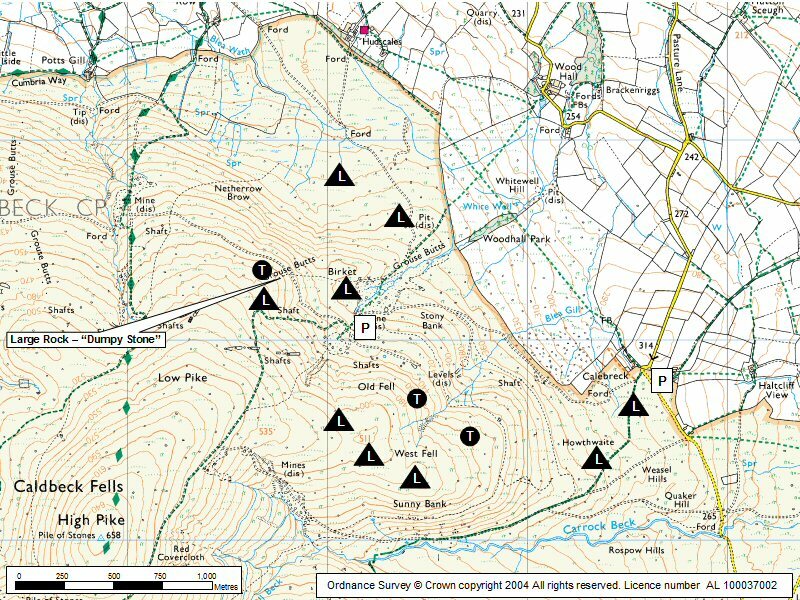 Continue northwards past Carrock Fell, cross a small ford and then park at the start of the track at Calebreck. Only two vehicles are allowed to park up the track and must be left just short of take off at the old mine workings (NY 332 361). The start of the approach track begins at Calebreck (NY 345 358). 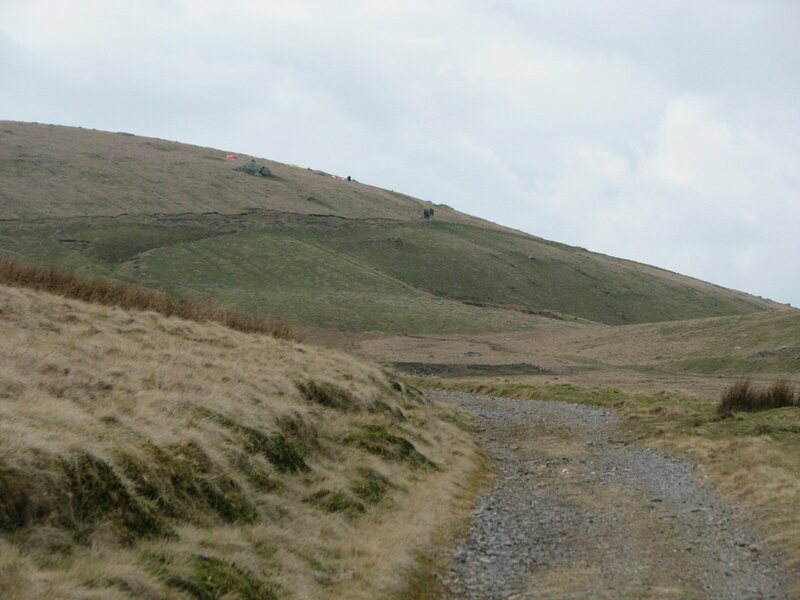 Follow the track up onto the fellside until it reaches a wider "parking" area. The take offs can be reached by contouring (and ascending a little) the open fellside. The top landing and bottom landing areas have some hidden (and some not so hidden) boulders. Exercise caution. If the site can be linked with Carrock Fell then the downwind XC potential is very good with the coast lying approx 45 km away. In the right conditions the area out in front of the site can be explored for some interesting triangles and out and returns. A not very good picture taken from the access road looking up to take off on West Fell. If you have a better one, then let me have a copy.